IRENE HONORA received her BFA at Ohio University in 2014. Her most recent choreographic work, Monad debuted at The Movement Project's Transformer Station 2018 show in Cleveland. 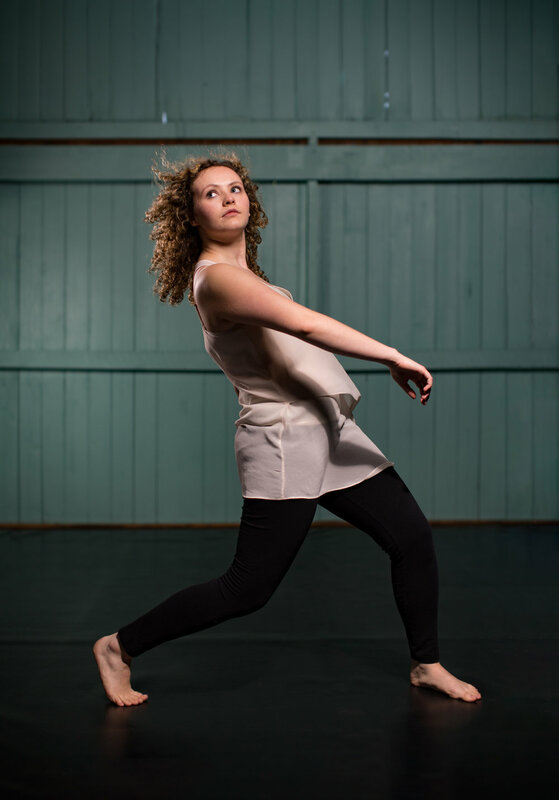 Irene’s previous work has been performed all over Cleveland in conjunction with The Movement Project’s past SummerWorks shows and Pilgrim Church shows, Cleveland Dance Fest 2017, and Ohio University’s Senior Dance Concert tour in Dayton and Cleveland Heights. She had the pleasure of interning with The Movement Project in 2014 during creation of the work Two Kinds of Light and performing in Gladys Bailin’s Newspapers at Ohio University. Irene became a company member with The Movement Project in 2015, and has performed with the company numerous times, most recently SummerWorks 2018 in Parma. Irene is also interested in dance medicine and presented research on snapping hip syndrome at the annual International Association of Dance Medicine and Science's meeting held in Basel, Switzerland in the fall of 2014. Teaching is also a passion of hers, and Irene was honored to work with apprentices at the Center for Arts-Inspired Learning's Artworks program during the spring of 2015, as well as teaching for The Movement Project's summer intensives. In 2014, Irene spent the summer working and teaching in Salida, Colorado, at Salida Dance Studio’s summer program. Currently, Irene teaches at Turning Pointe Dance and Fitness, dances with The Movement Project as a company member, is co-founder of Cleveland arts collaboration dotdotdot, and is eager to see Cleveland's dance community grow and prosper.